The highest mountain peak in the world located in the Himalayas, in Nepal. 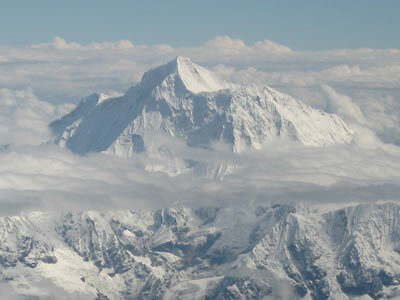 Mount Everest has a hight of 8,848 meters above sea level. It is a challenging climb, but a fit unexperienced person can make it with the help from a professional guide.